I was very fortune to be provided the opportunity to see the French Open 2018 Men’s Singles Final in Paris and sit very close to the match. As I mentioned before, this was my first time at the Roland Stadium and I was so excited I decided to arrive early. I arrived around 11AM and the men’s match didn’t start until 3:30PM. I spent most of my time in the Club Des Loges sipping on drinks and mingling with friends. Then I proceeded to the VIP village where I enjoyed some ice cream to cool off then I went to watch the men’s finals. The crowds flooded into the stadium for this sold out match. 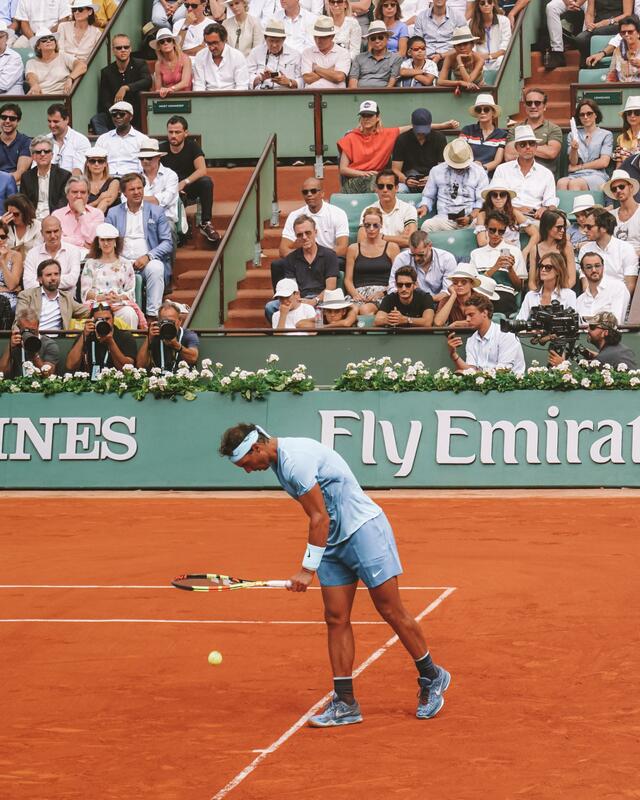 Everyone was excited to see if Rafael Nadal would remain champion or if Dominic Thiem would become the new champion. After a competitive back and forth match, which lasted for 3 sets, Nadal took home the trophy and remained the champion. 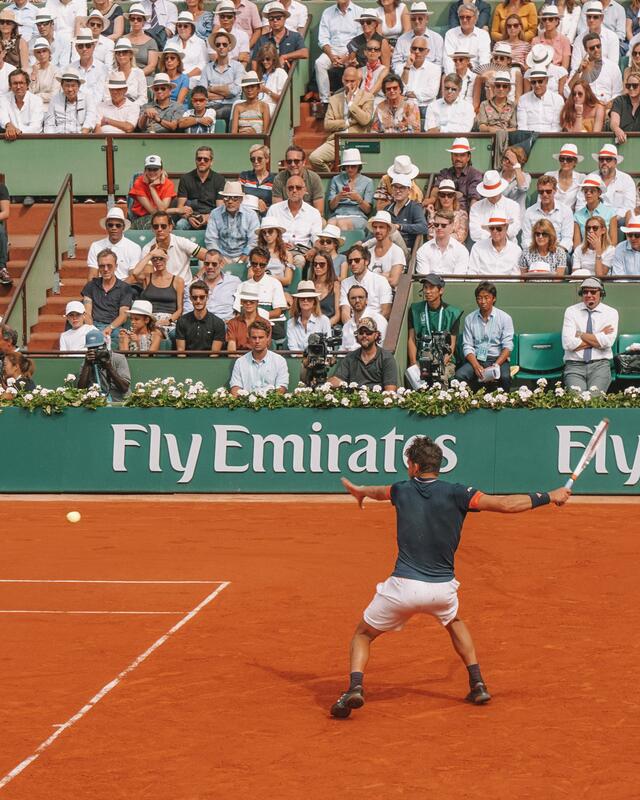 The Loges Seating afforded me the opportunity to see the match up close as well as capture beautiful photos. 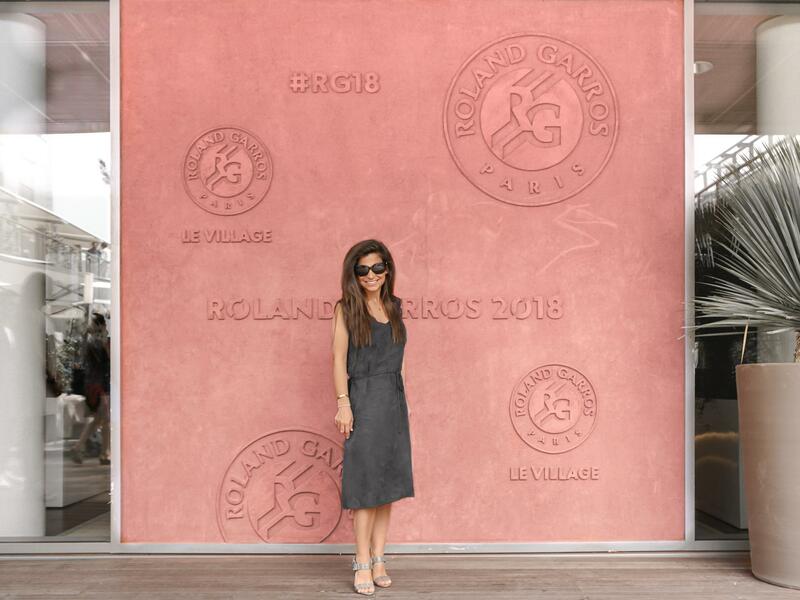 Given that this was my first time to the French Open, I had no idea what to wear. 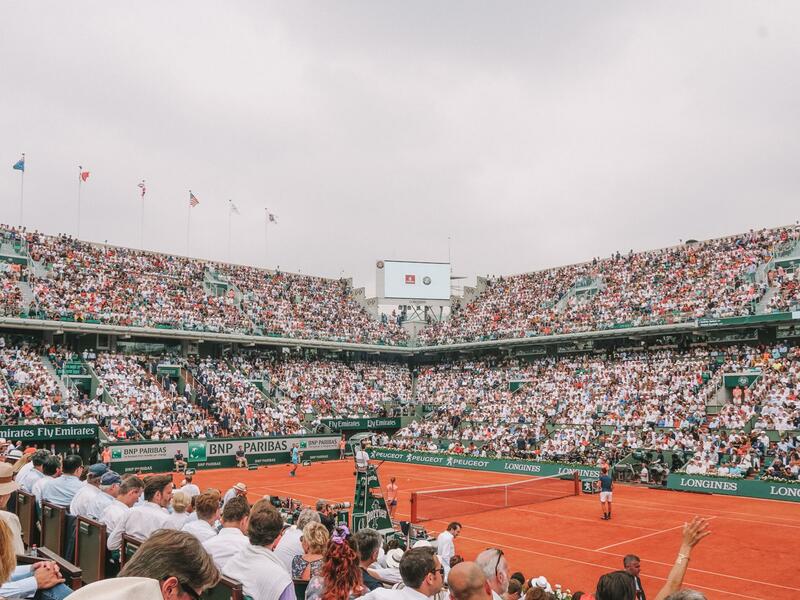 After googling for hours on end, “What to wear to the French Open” I finally decided to look at the photos of the match and scope out what the people in the audience were wearing. It appeared most people were wearing neutral colors. 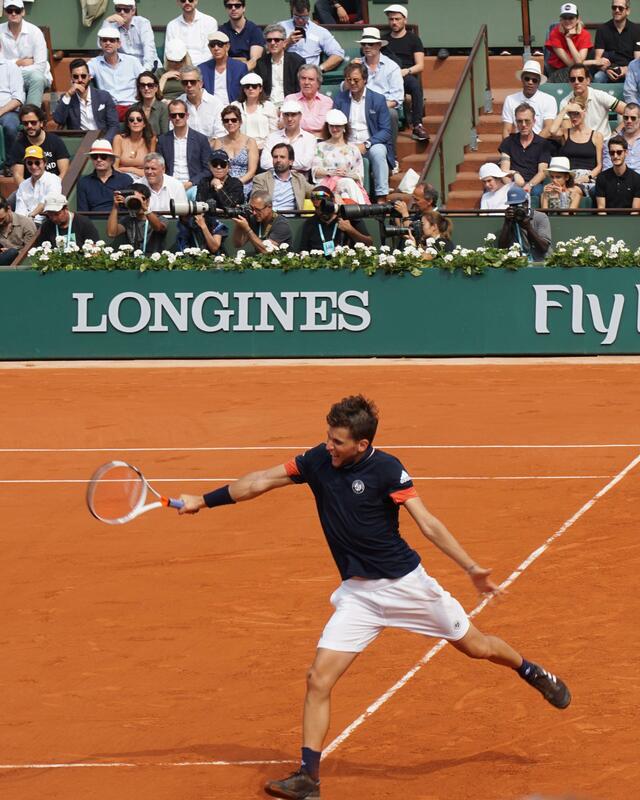 The reason most people wear neutral colors to the French open is to avoid distracting the players. From what I observed the girls were mainly in dresses or polo’s with white hats, and the men were wearing polo’s or button downs. I decided to wear a dark navy blue dress that fell right below my knees and a pair of high heel sandals. There is a lot of walking around, I definitely recommend if you are going to wear heels wear wedges or pack a pair of flip flops in case your feet start to hurt. Don’t forget your ID – You will need your ID to get into the event, I used my US drivers license and this was okay, but a passport will work as well. 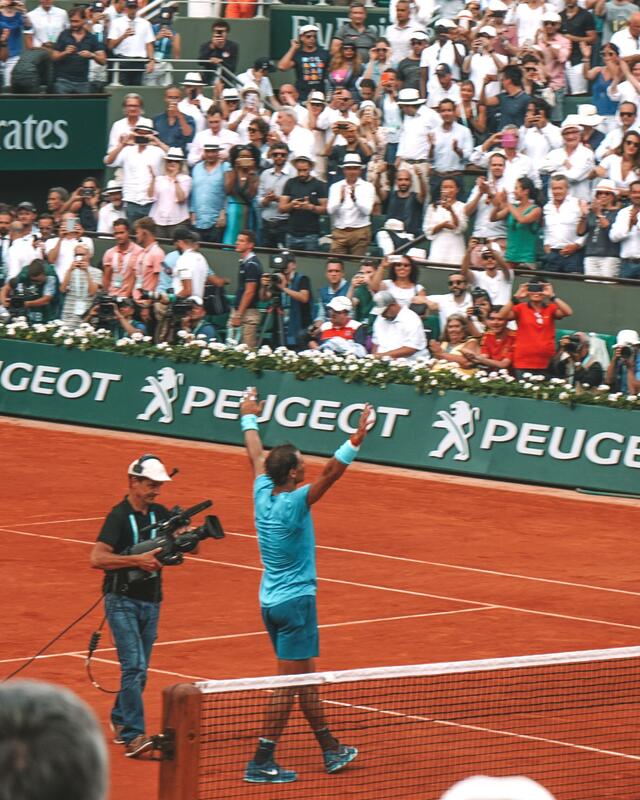 This was a once in a lifetime opportunity and I’m so thankful I had the opportunity to attend the 2018 French Open Men’s Singles final, and see the match between Rafael Nadal and Dominic Thiem. 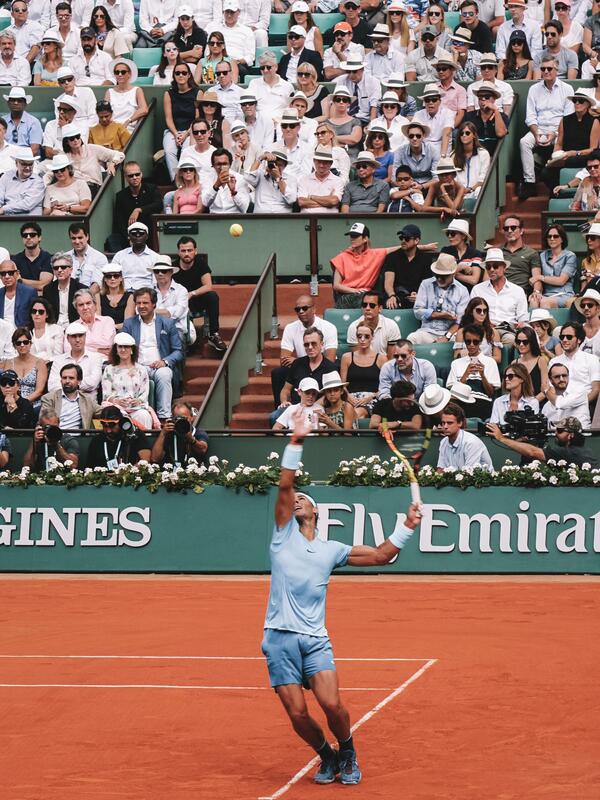 Congrats to Nadal for continuing to be king of the clay and claiming your 11th win. This is very helpful. I am so excited to go this year. Do they sell the hats that everyone is wearing at the Open or should I bring one?